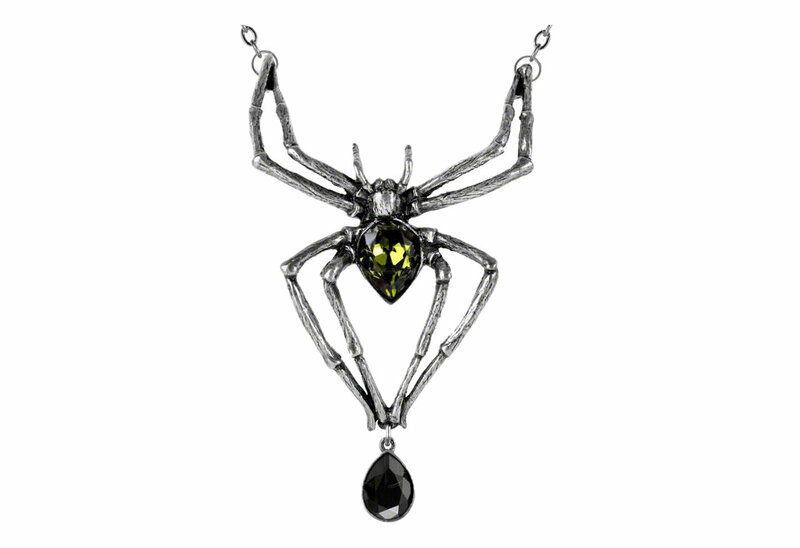 Venomous spider pendant with green and black stones. 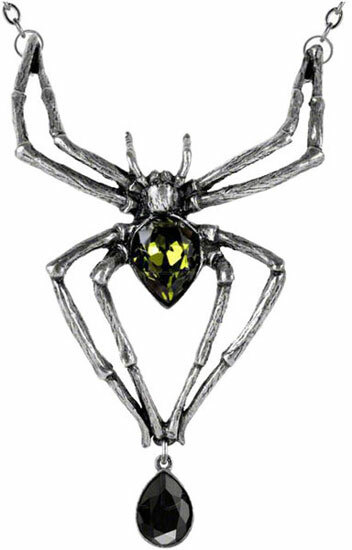 The abdomen of this arachnid is a large emerald green Swarovski crystal. Hanging around your neck she holds a tear drop shaped black cut crystal. Made of fine antiqued English pewter and adorned with Swarovski crystals. The pendant measures approximately 2.68 inches wide by 4.33 inches high and 0.79 inches deep.